Just announced today, Sony’s Playstation 3 is the first gaming console to offer live streaming MLB games in high-definition. 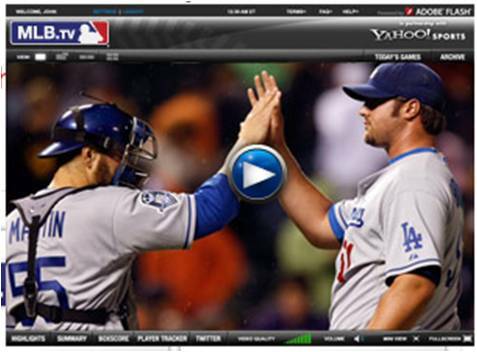 MLB.TV subscribers can watch every regular Major League Baseball game through their PS3 — directly to an HDTV — at no extra charge with an MLB.TV subscription. “We are excited for our customers who don’t live near their favorite team and can now see every game, and keep an eye on the rest of the league, too, as this season promises to include many record-breaking moments that they won’t want to miss,” said Jack Tretton, president and chief operating officer, SCEA. Sony calls the service a “superior visual and interactive experience built and designed exclusively for use in the PS3 ecosystem.” Features include the ability to watch either home or away feeds, pause, rewind or fast-forward live video just like a DVR, scroll linescores (both for individual as well as entire league scores), pick favorite teams for the scoreboard and view a game calendar. Read a full review of streaming MLB on the PS3. 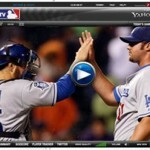 Previous Previous post: MLB.TV For PS3. One Word Review: Wow!